Honestly, I can not find a name for this stitch. 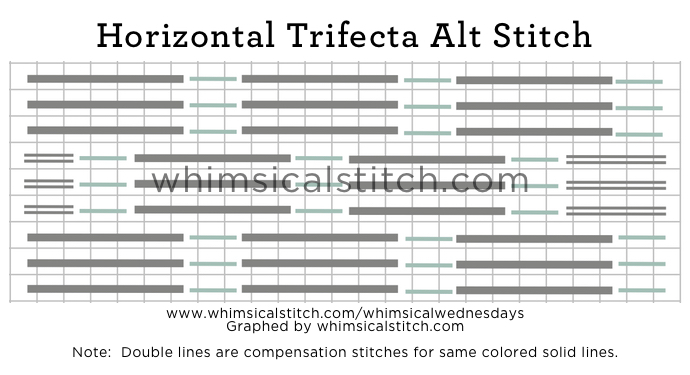 I call it the "Trifecta Stitch" because the core element includes three identical stitches. What is great about this stitch, other than its clean, classic look, is its versatility. The base stitch is straightforward. Three horizontal lines, over six rows, in a column. Subsequent rows are offset from the first, and then you return to the original pattern. For the record, it works great on the vertical as well. It's a great stitch to help focus the eye in the desired direction for the specific area. The intersection between the columns is where it gets fun. The top two diagrams have a simple X stitch (2X2) in the spot. And so much more can be done. In the next example, I added a single bead, stitched over two rows on the vertical to keep it clean and straight. In the next example, the intersection is filled with simple columns of three over two rows. This version works very well with contrasting thread types (matte and metallic). I've also used two different metallics (Crystal Braid and Flair) to create a snowy landscape. 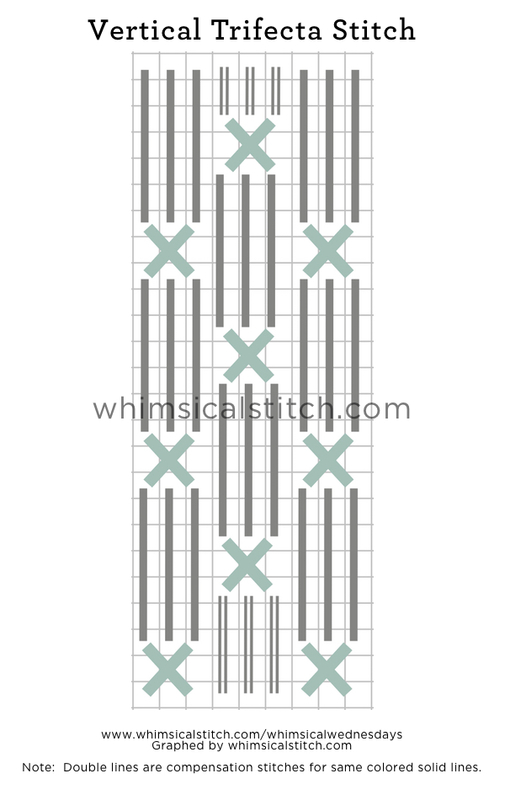 If you like what you see on this blog, want to learn some very creative decorative stitches, and how to put them all together, whimsicalstitch.com sells stitch guides for seasonal Melissa Shirley designs. Ten guides are currently available and more are in the pipeline.